The vast Norfolk coast is lined with a number of glorious sandy beaches, perfect for a seaside holiday or weekend away. From Hunstanton’s famous red and white striped cliffs, all the way round to Great Yarmouth’s bucket and spade sands, there’s a beach to suit everyone’s tastes. Here are some of the best beaches in Norfolk. 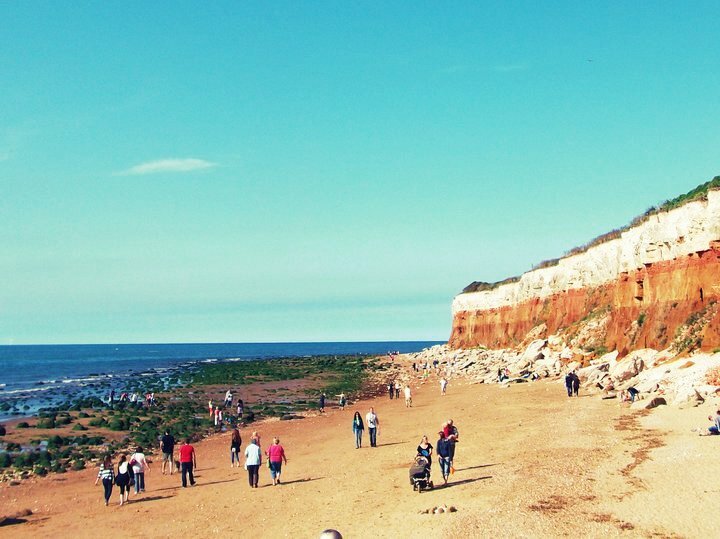 When the sun comes out, beachgoers flock to the sandy shores of Hunstanton en masse. Known by locals as ‘Sunny Hunny’, this charming seaside resort boasts a two-mile blue-flag beach, numerous shops, arcades and restaurants, as well as a Sea Life Centre. Have a game of crazy golf, enjoy an ice cream on the promenade or take a boat to Seal Island. Then of course there’s Great Yarmouth. Not only is it a busy Norfolk beach, it’s one of Britain’s most popular seaside resorts with its endless beach and array of classic seaside attractions. Why not catch a show at the theatre on the Britannia pier or head to the Wellington Pier for some bowling overlooking the golden beach? And it wouldn’t be a trip to Yarmouth without braving the rides at Pleasure Beach! 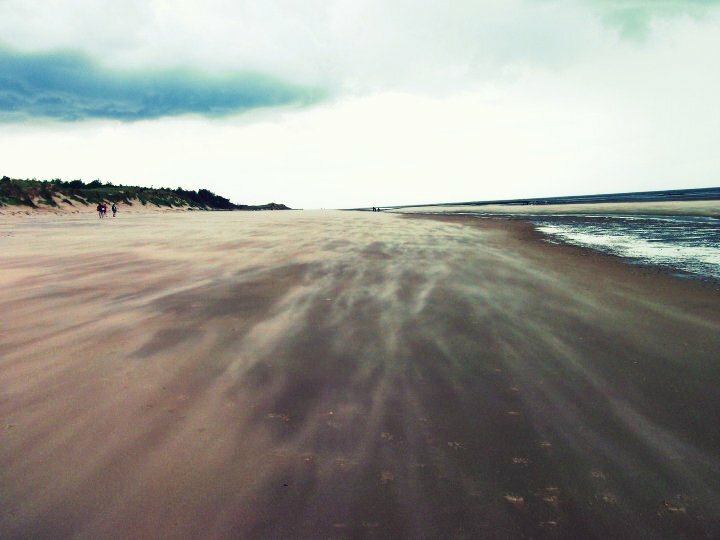 Award-winning Holkham Beach in North Norfolk is a must visit if you’d rather escape the crowds. This stunning horseshoe-shaped stretch of sand sheltered by pine forest is part of a vast nature reserve, so if you’re a fan of bird watching, you’ll be in your element. On the East Norfolk Coast there’s the blissful beach at Sea Palling, a blue-flag stretch of yellow sand backed by windswept dunes. For such a small, quiet beach, there are plenty of facilities such as a pub, cafe, tea rooms, shop and arcade. If you’re taking children with you, look no further than Cromer Beach. This blue-flag beach has gentle waters, ideal for a paddle, or you could go in search of crabs in the pools left by the tide. It offers a traditional pier with gardens and a theatre, and the seafront is fully equipped with cafes, arcades, showers, toilets and a little fun fair. 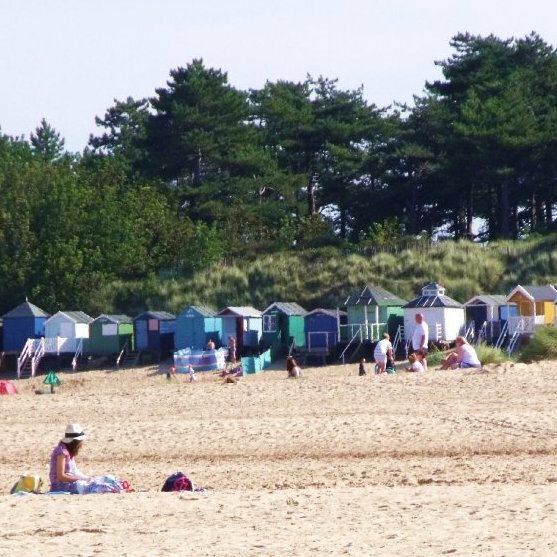 Another beach of choice for a family day out is Wells next the Sea, a sandy stretch with a row of colourful beach huts backed by dunes and pines. Build a sandcastle, take a dip in the sea and if you get peckish there’s a cafe and ice cream van nearby. A short miniature railway ride takes you to Wells where you can grab some fish ‘n’ chips or try your hand at ‘gillying’ – catching crabs on lines. Most beaches along the Norfolk coast welcome dogs. There are however some restrictions around the main resorts between May and October. 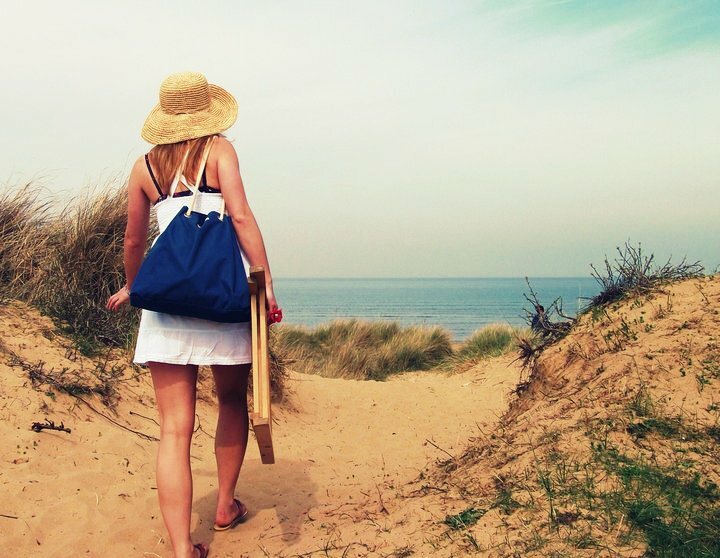 You’re best to head to empty beaches such as Old Hunstanton, Sea Palling or Horsey. The picturesque Winterton on Sea even has a cafe offering a bowl of water for your pet after a brisk walk. There’s lots going on if you want to get active. Hunstanton Water Sports offers lessons in kitesurfing, windsurfing, stand-up paddleboarding, powerkiting and landboarding. 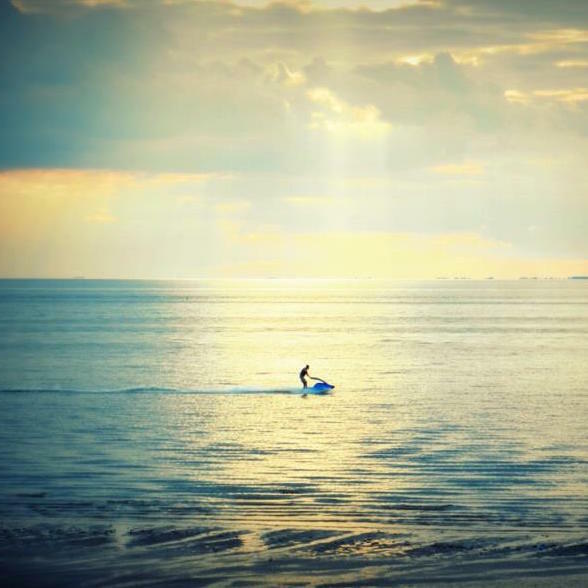 If you want to catch a wave there’s Glide Surf School in Cromer offering surfing and SUP classes, while at Beach Rock Leisure in Sea Palling you can rent a jet-ski or kayak. The Norfolk coast is dotted with campsites and caravan parks. If you want plenty of activities there’s Searles Leisure Resort in Hunstanton with swimming, golf and fishing facilities as well as a variety of pitches, or there’s the 5-star Vauxhall Holiday Park in Great Yarmouth with top notch entertainment and a fully-equipped campsite. If you’d prefer a relaxing break there’s Pinewoods Holiday Park, a stone’s throw from Wells next the Sea and a boating lake, or Cromer’s Manor Farm Caravan and Camping Site with modern facilities in peaceful countryside. If you’re interested in the royals, take a short trip from Hunstanton to The Sandringham Estate, the Queen’s country retreat. The Broads National Park on the East coast is another popular attraction in the area – hire a boat and discover the rich wildlife and quaint villages as you meander through the waterways. The City of Norwich is a great day out with its many historical buildings, museums, arts venues and shops. Norfolk beaches have something to offer everyone, so whether it’s an action-packed family holiday or a chilled getaway, make your next seaside holiday one to the Norfolk coast. 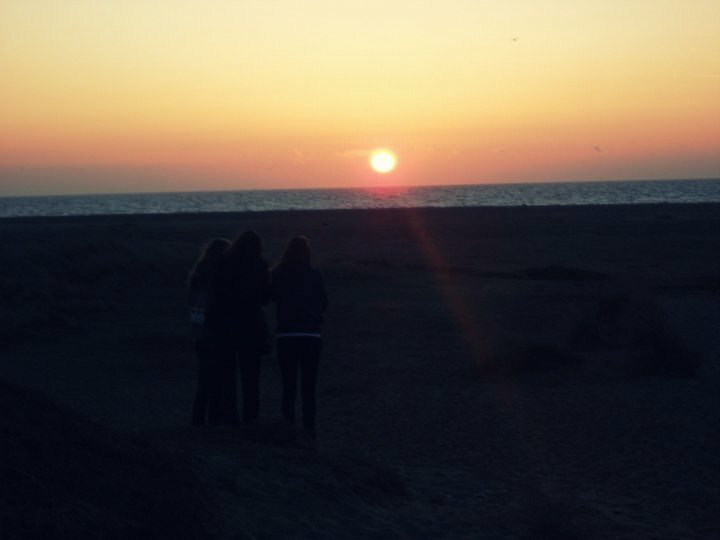 All my own photos from trips to the Norfolk coast.